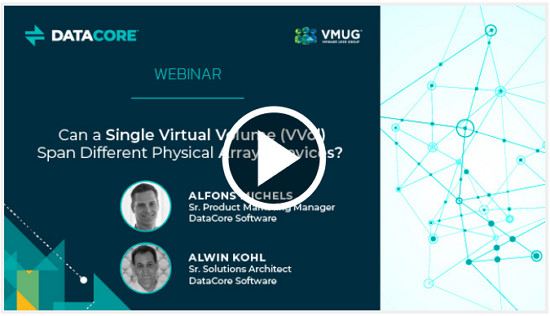 If you were to pose this question, "Can a single Virtual Volume (VVol) span different physical arrays/devices?" to your storage vendor or to VMware support today, you'd likely receive the following answer: "No. vSphere does not support this."